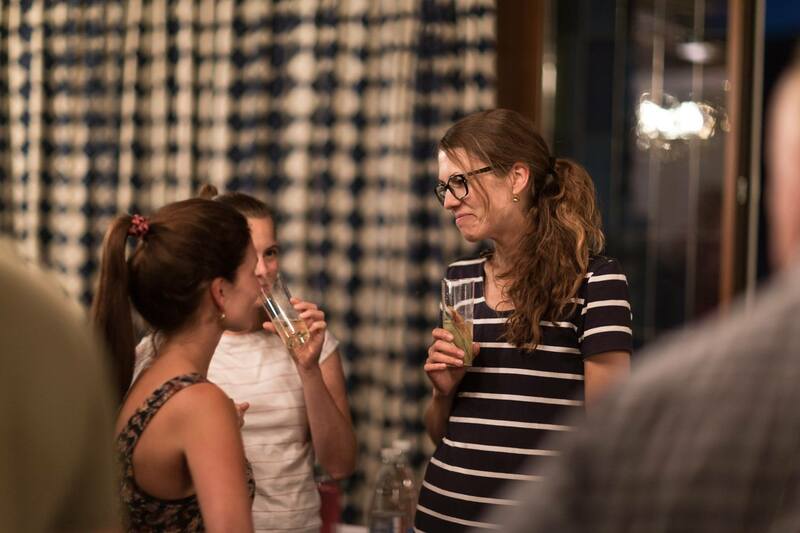 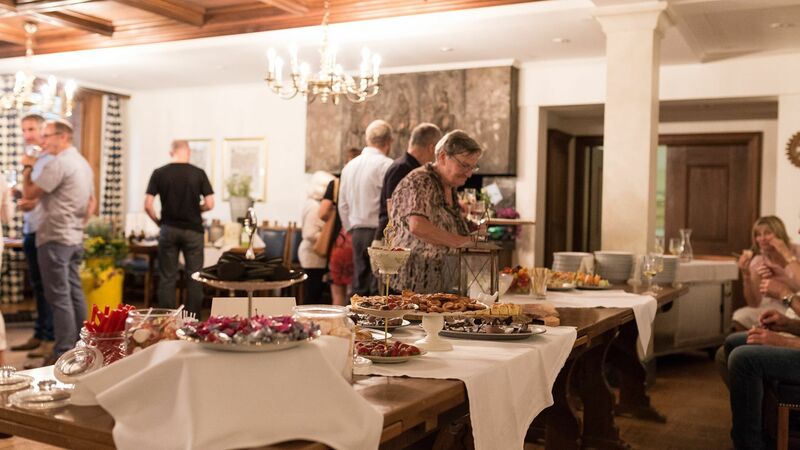 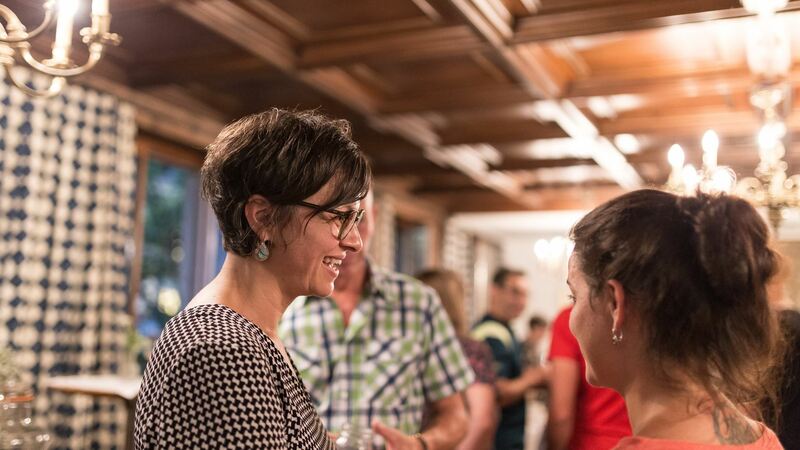 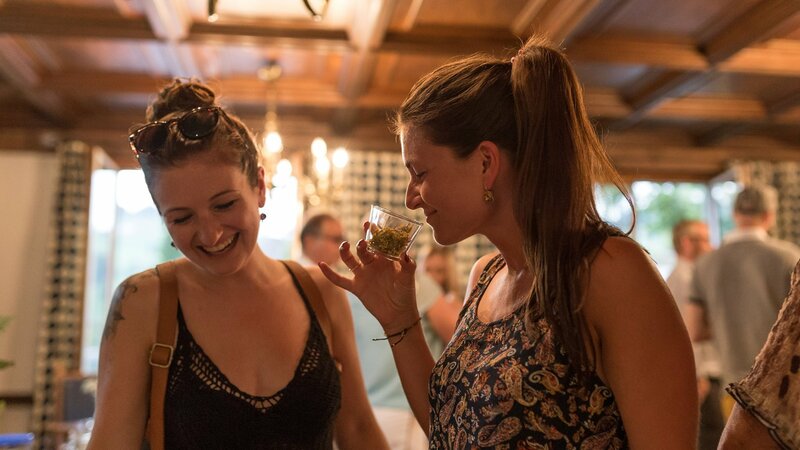 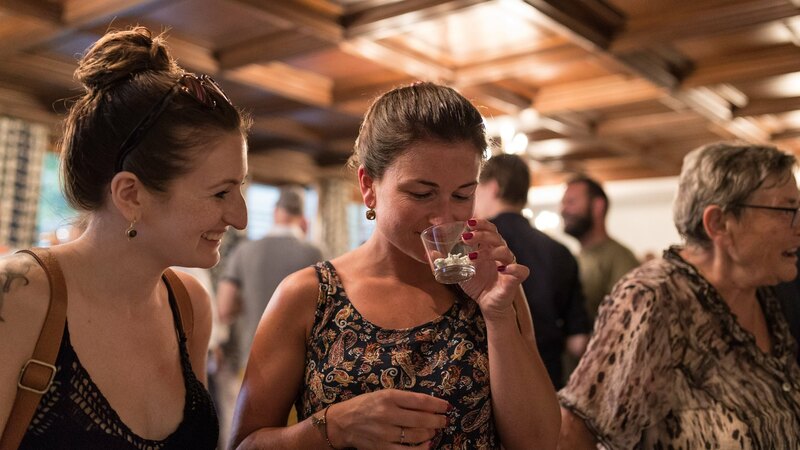 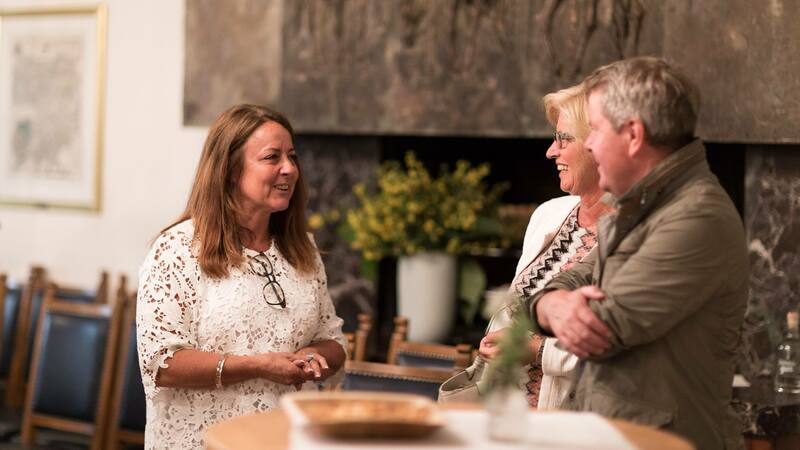 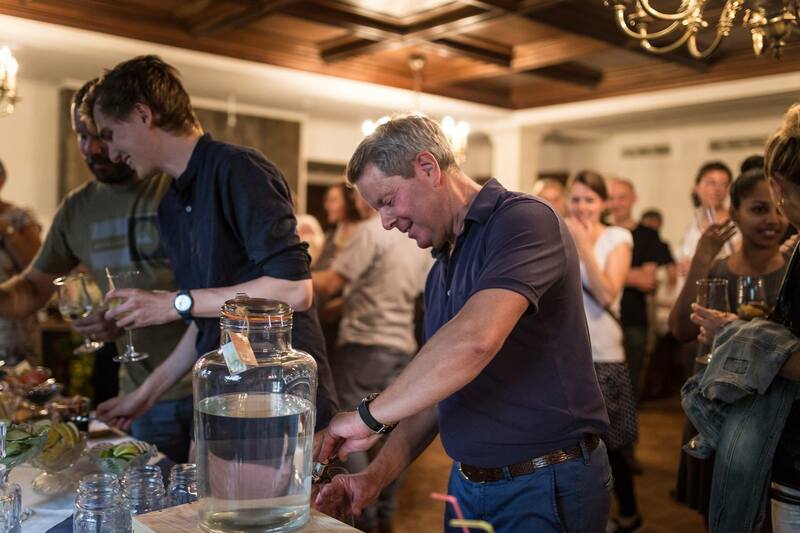 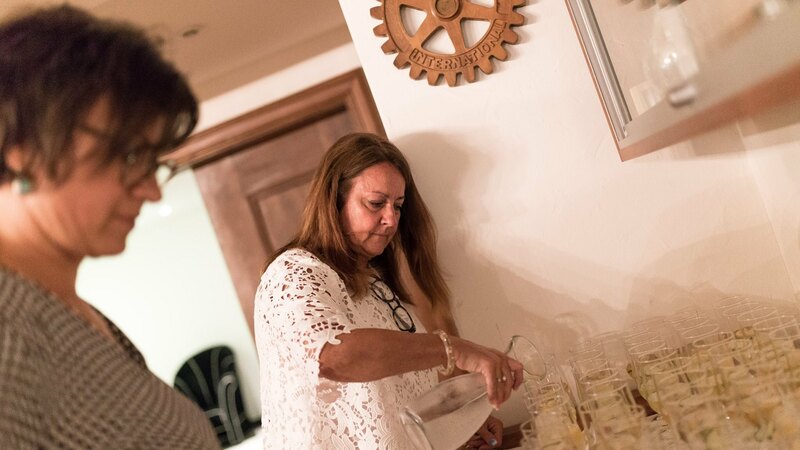 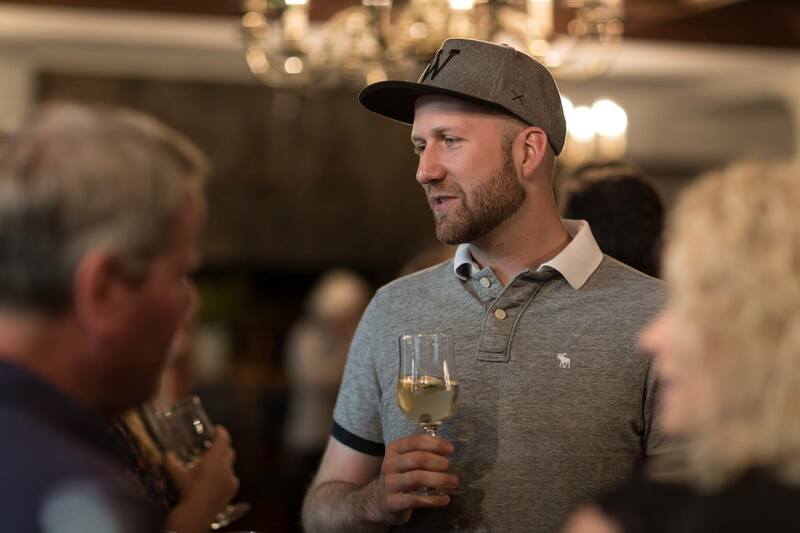 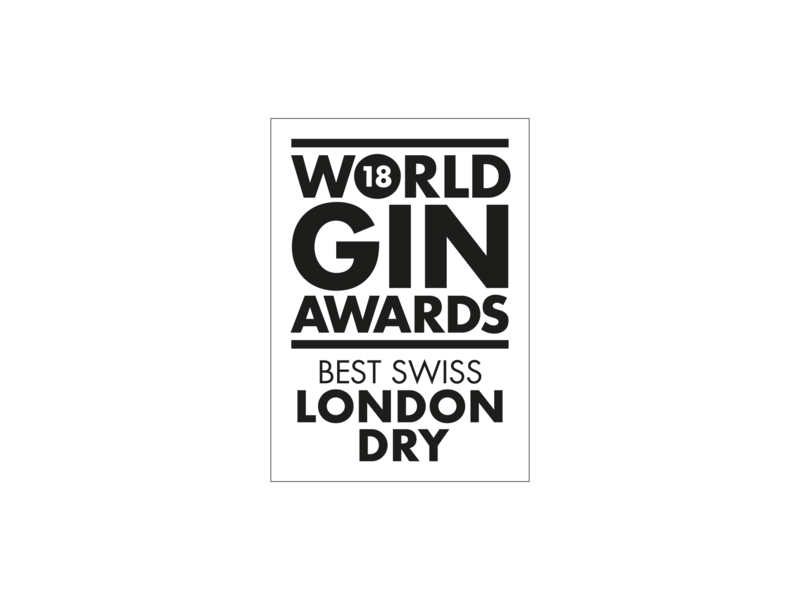 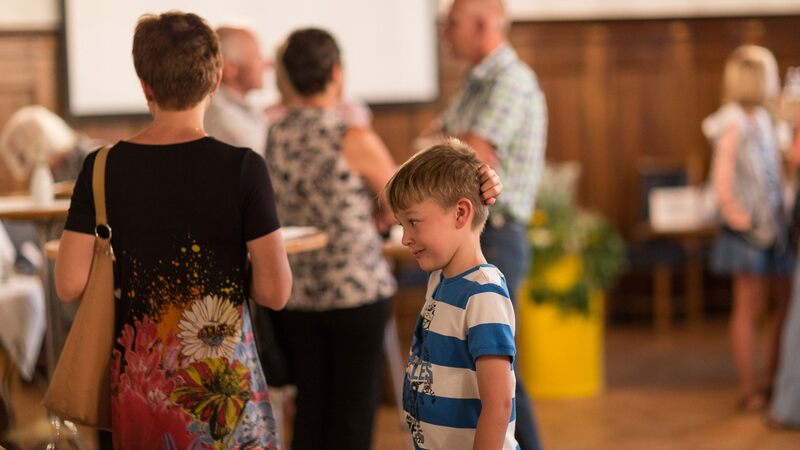 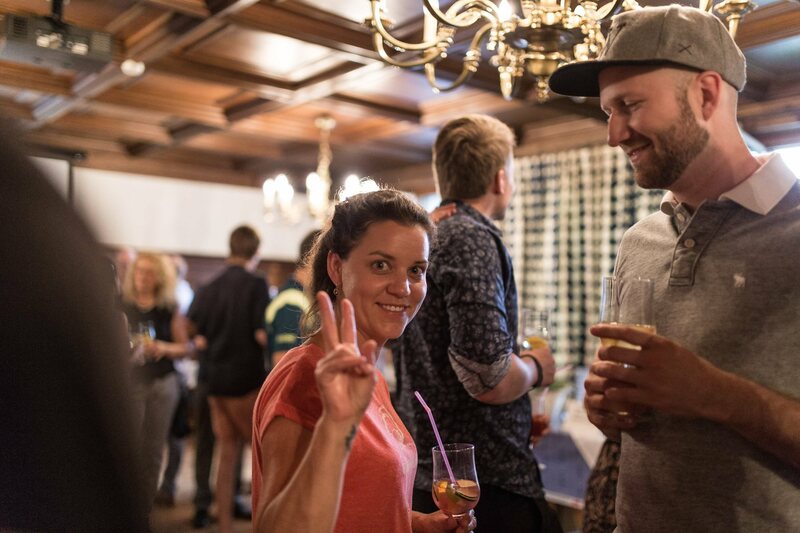 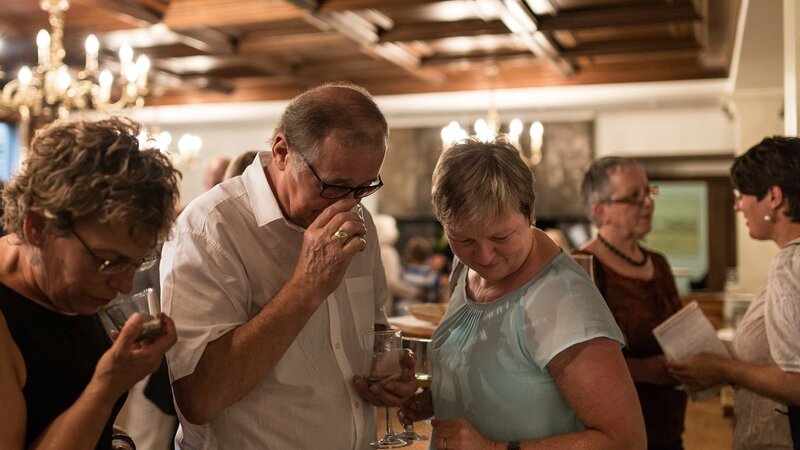 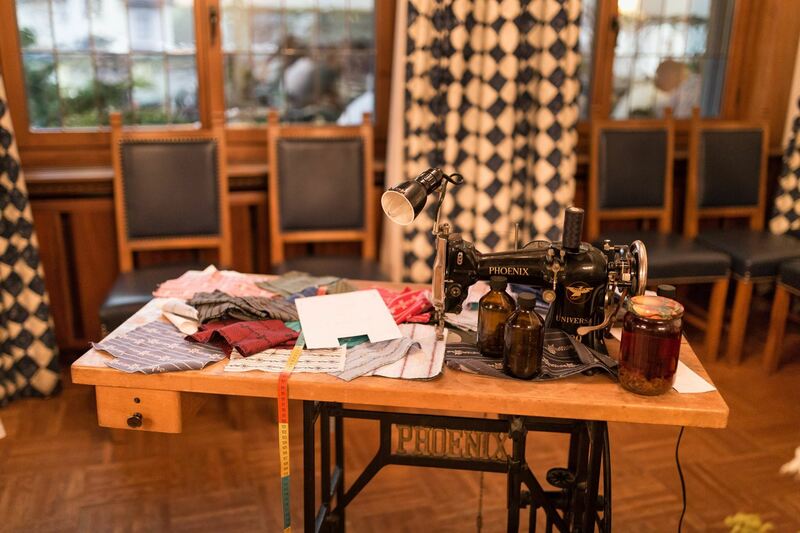 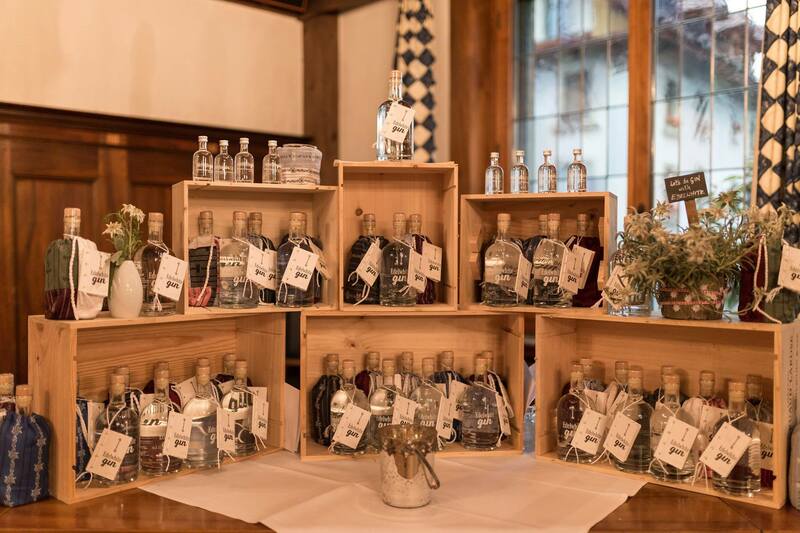 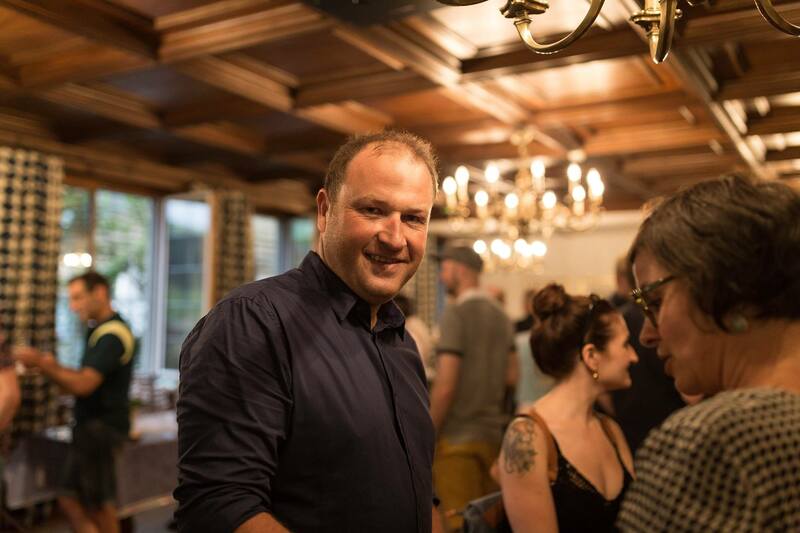 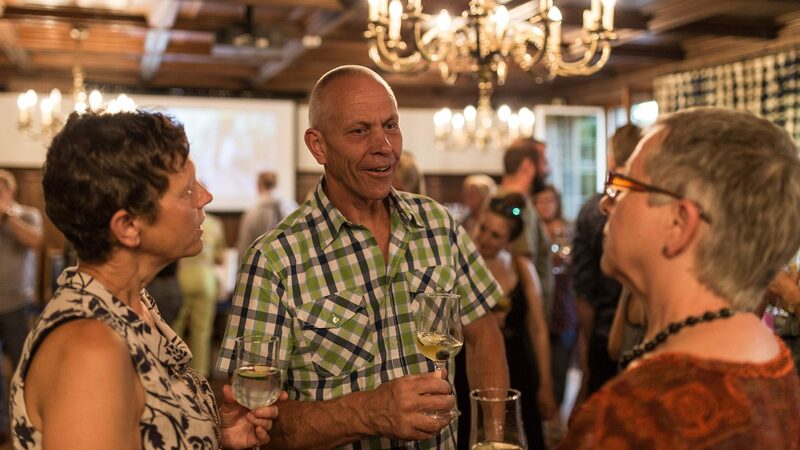 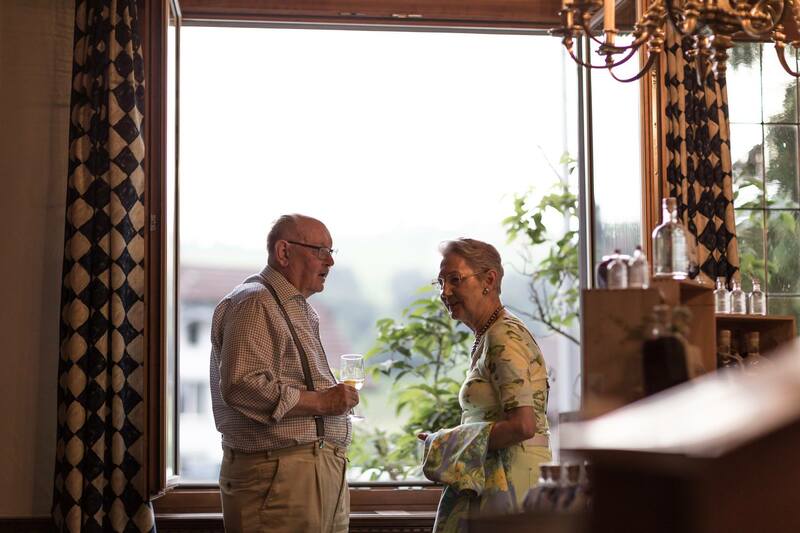 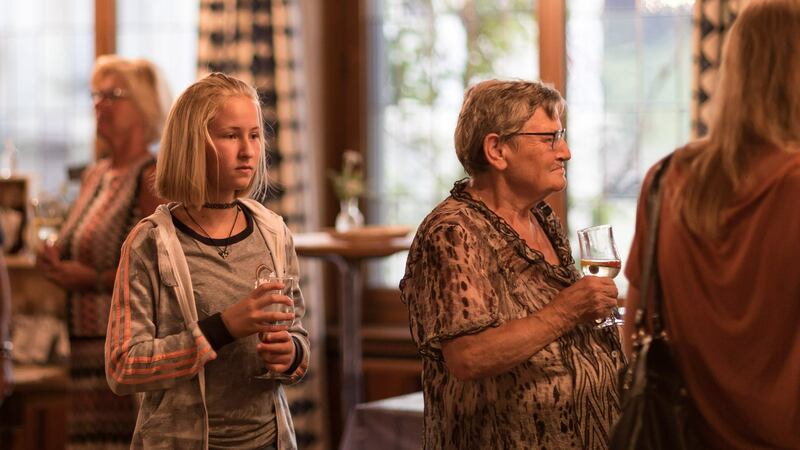 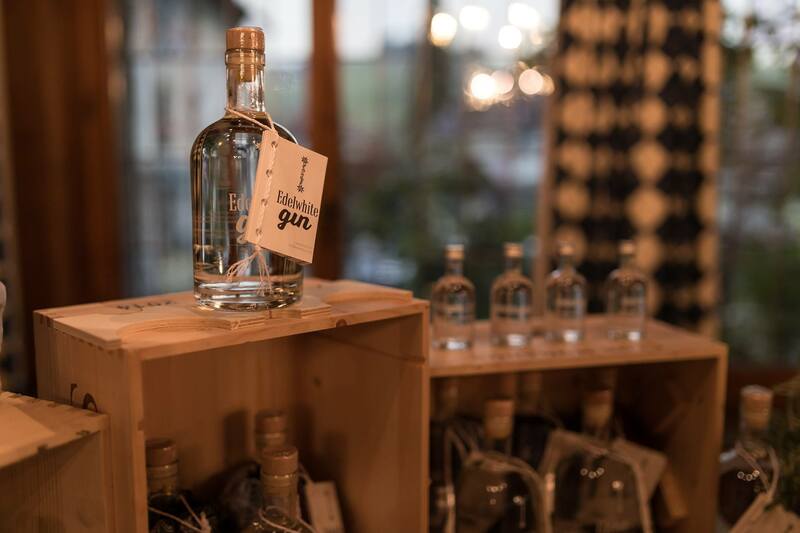 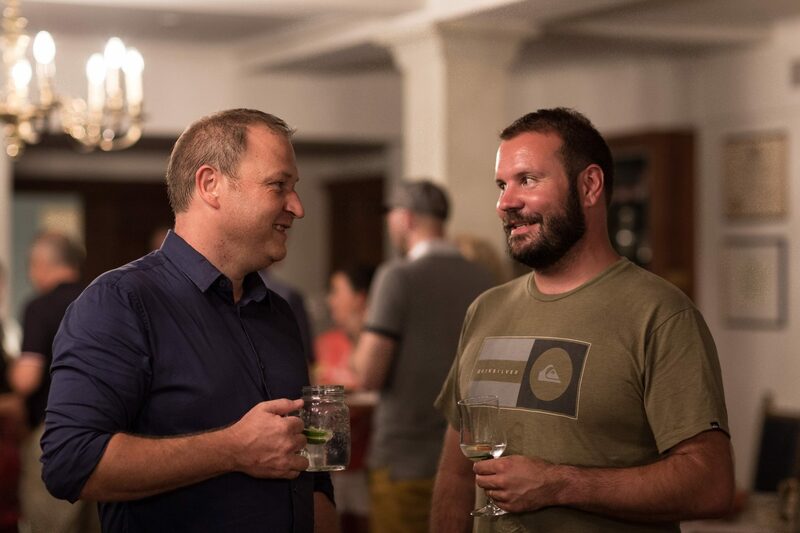 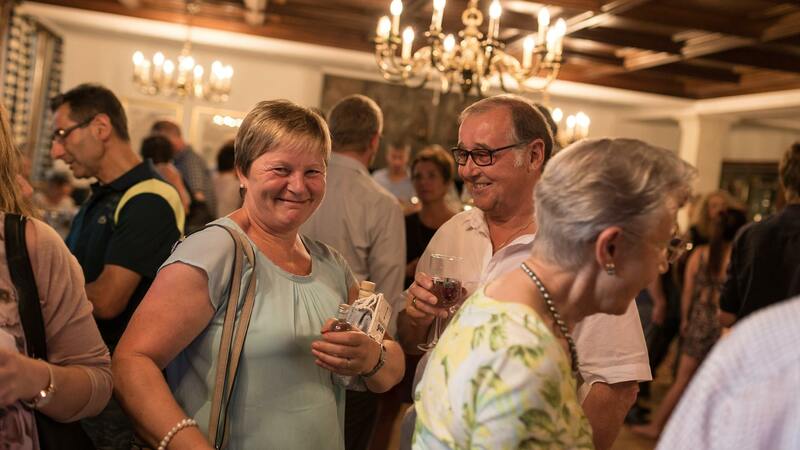 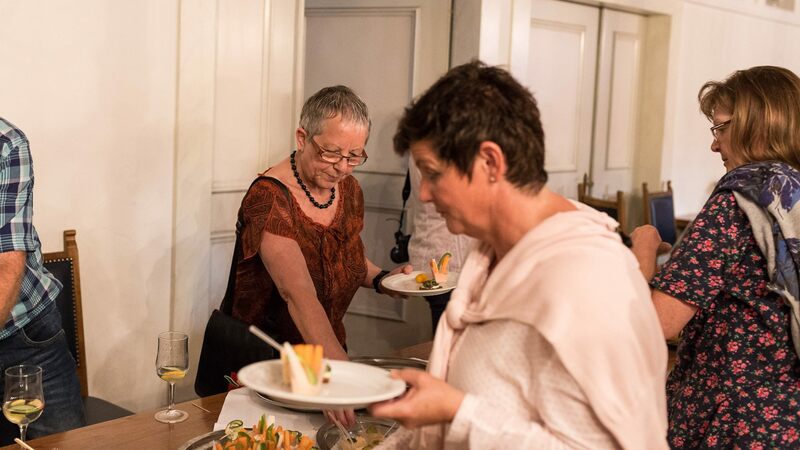 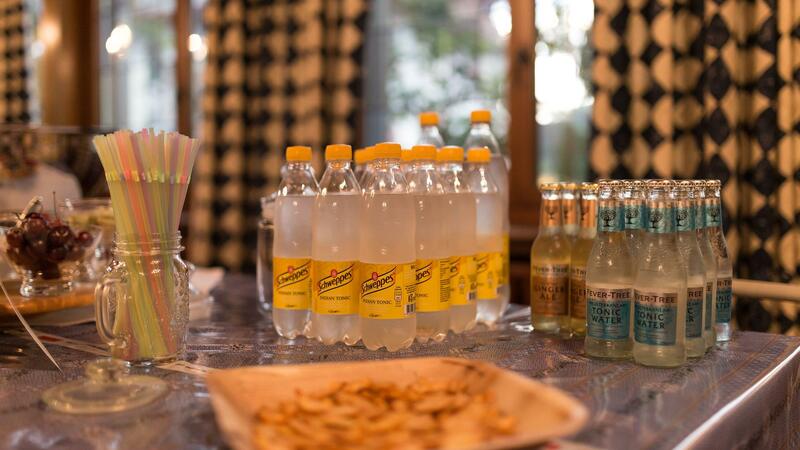 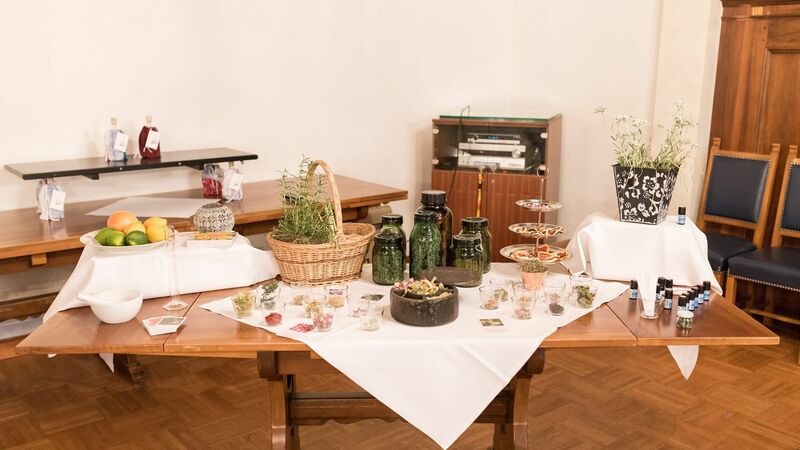 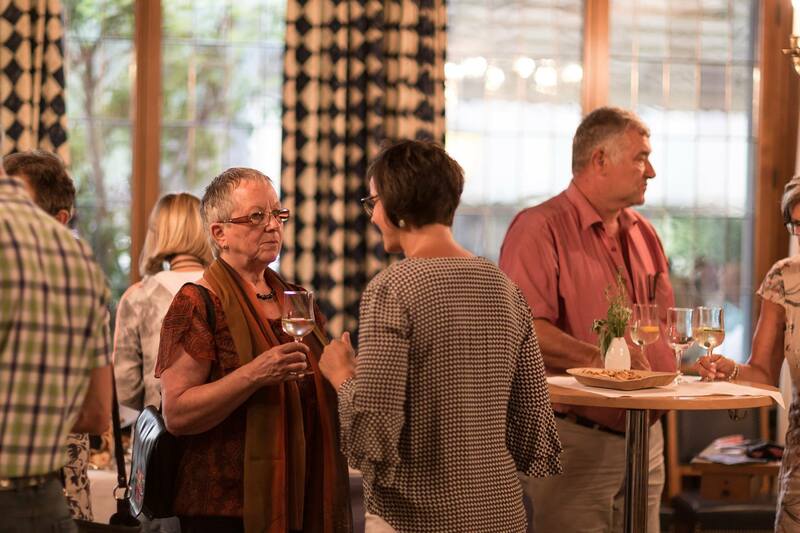 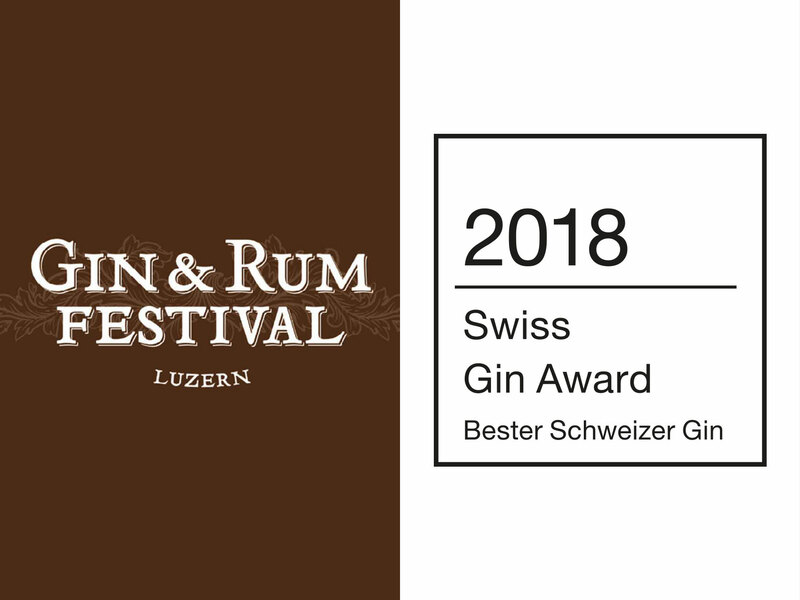 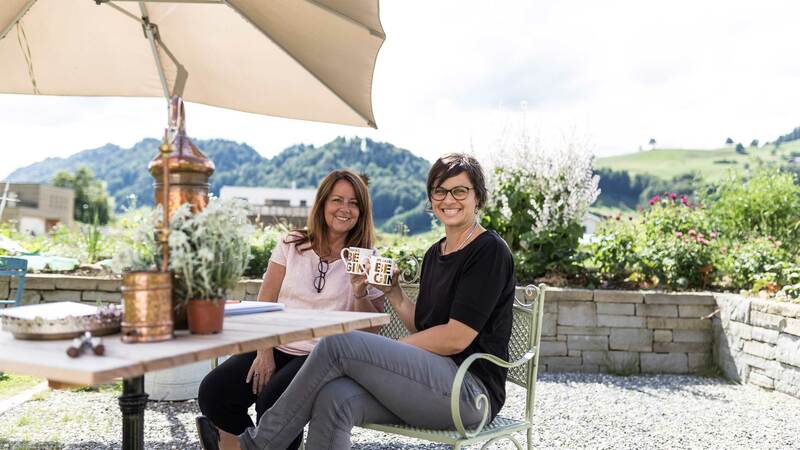 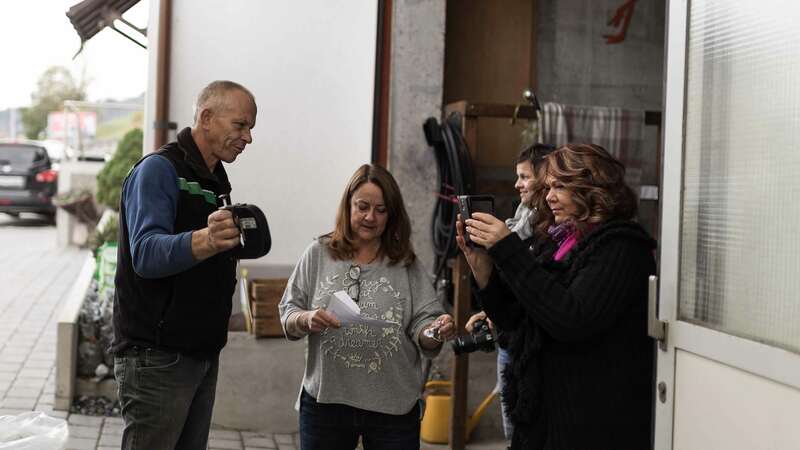 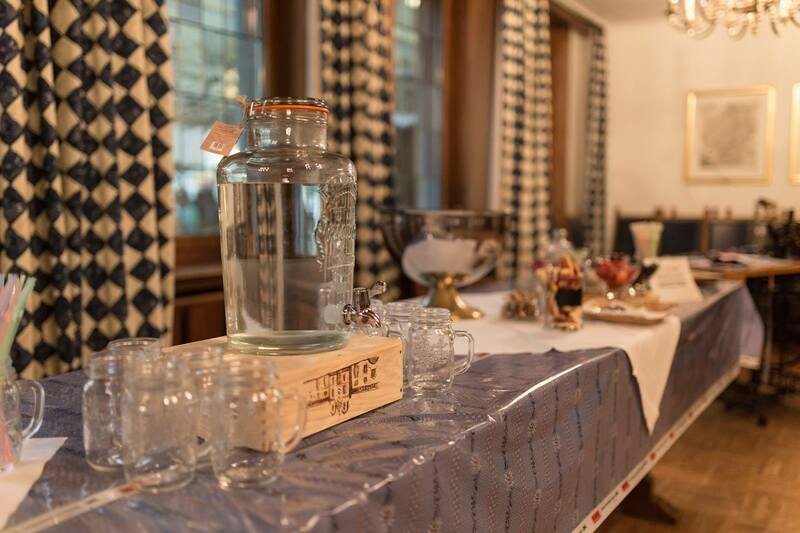 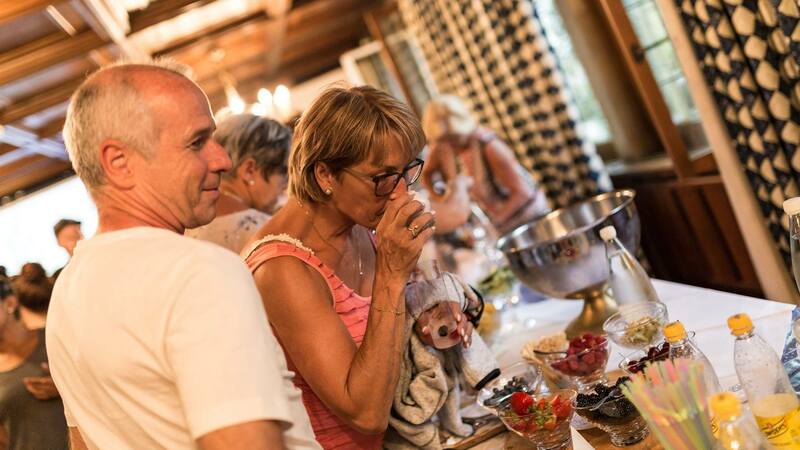 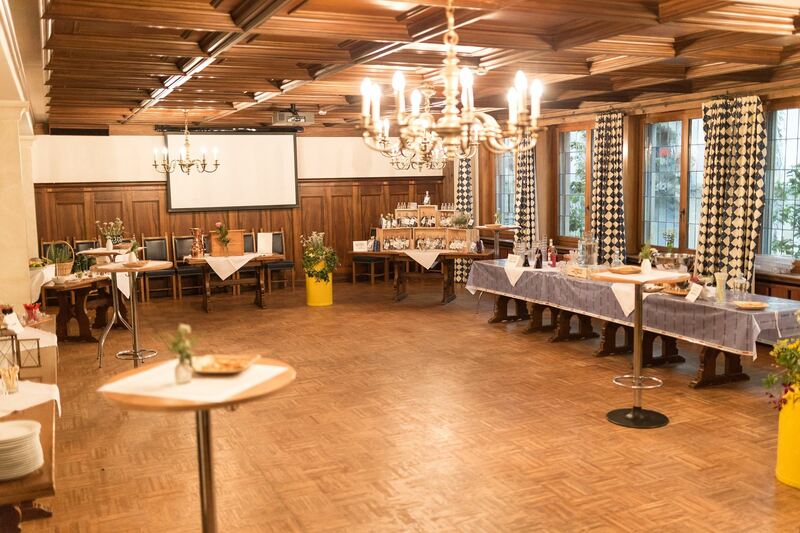 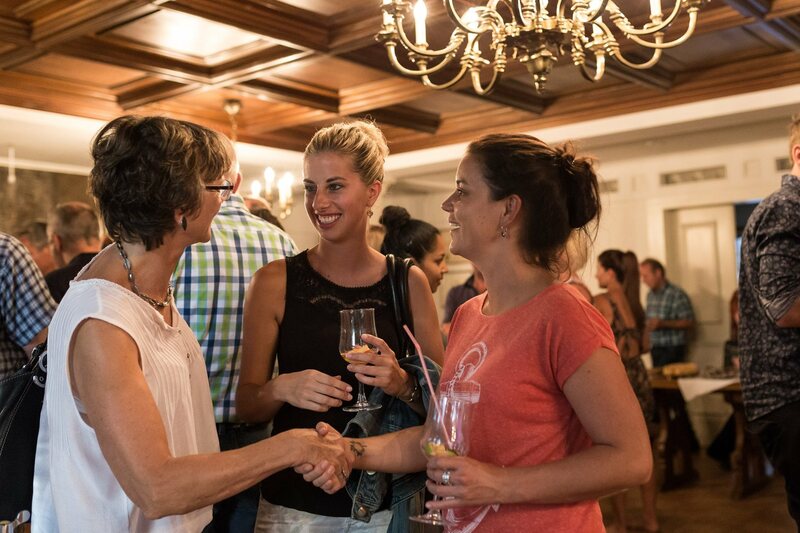 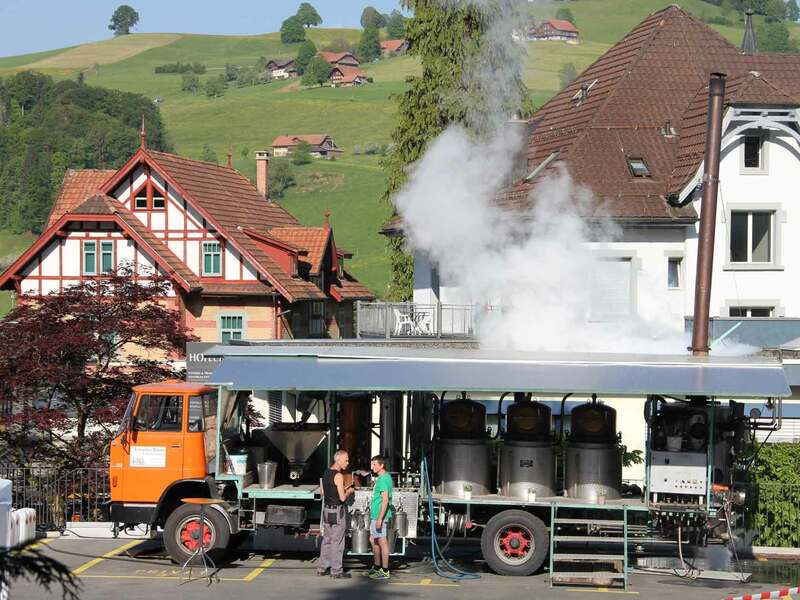 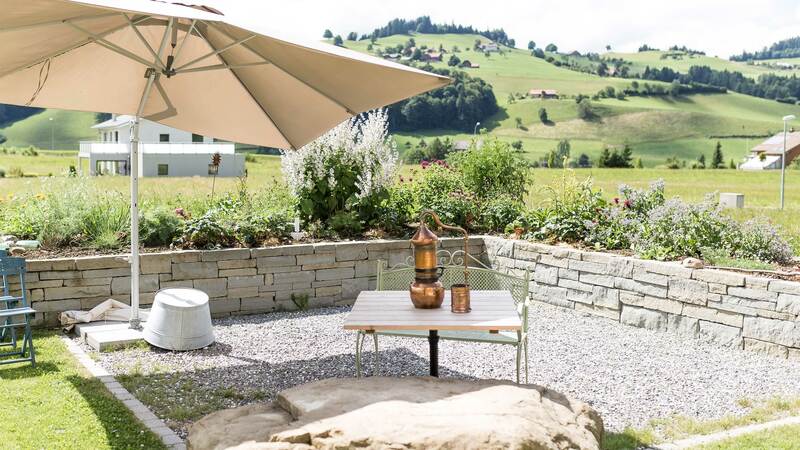 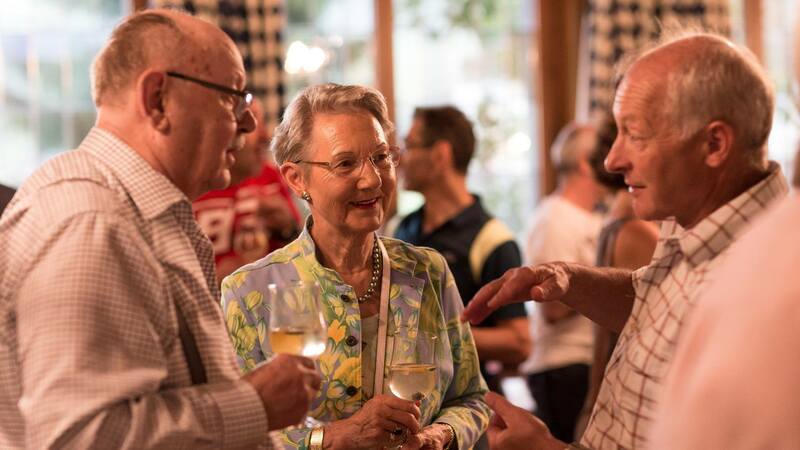 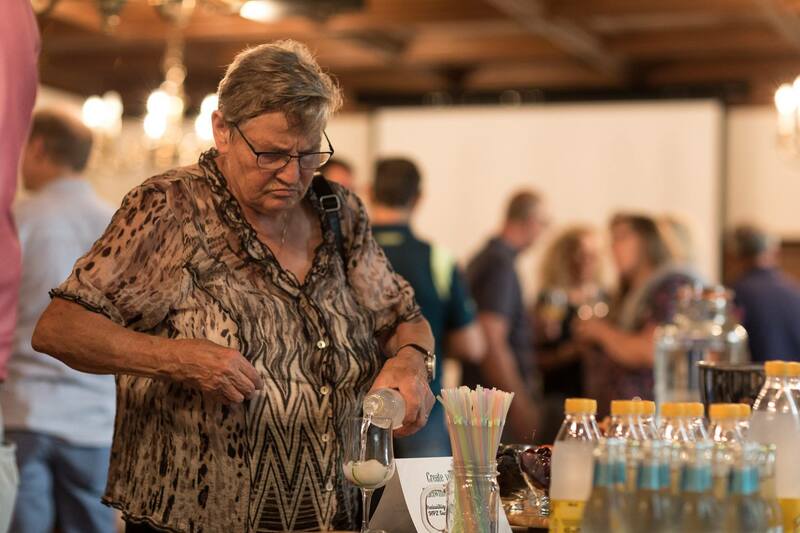 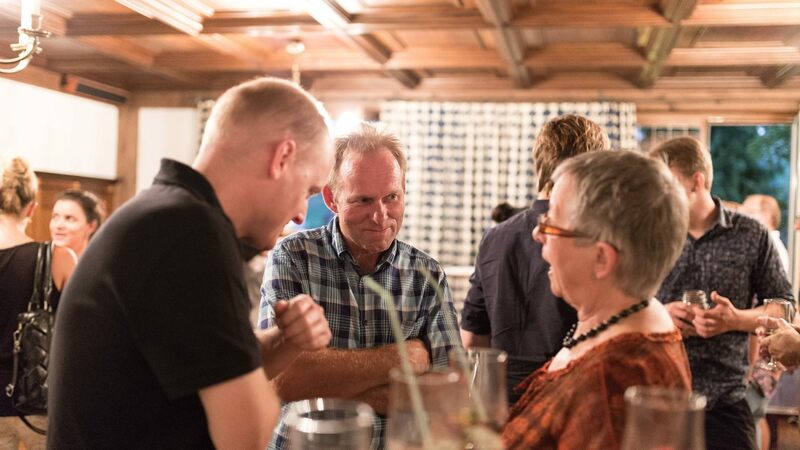 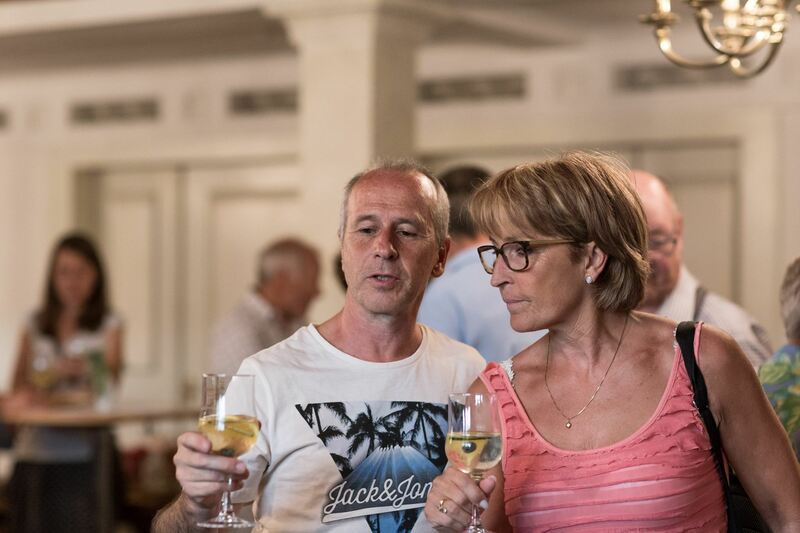 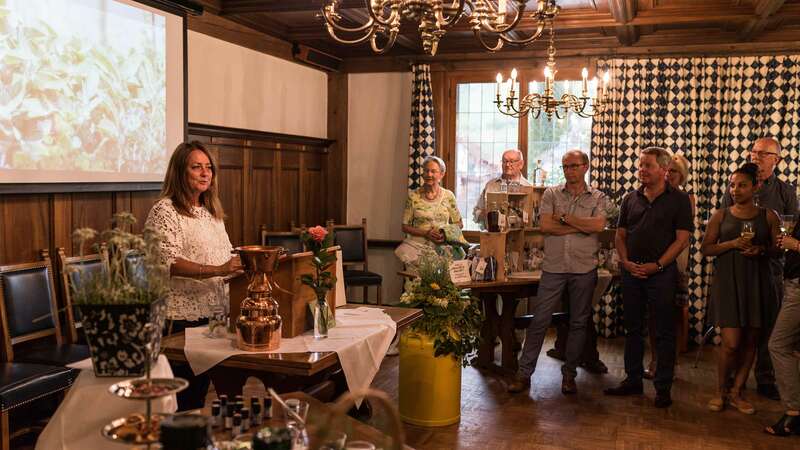 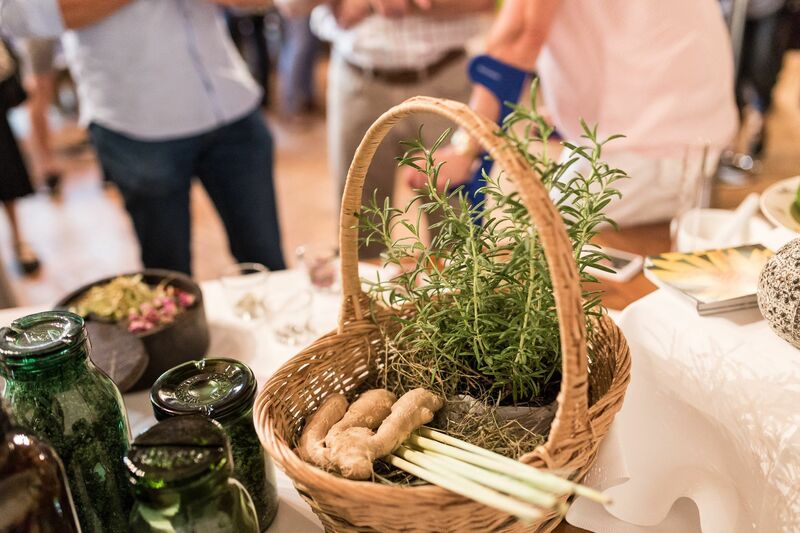 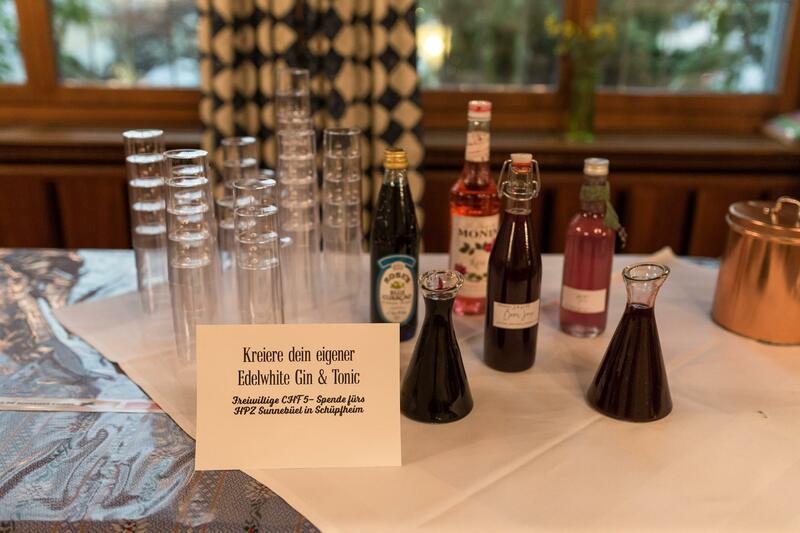 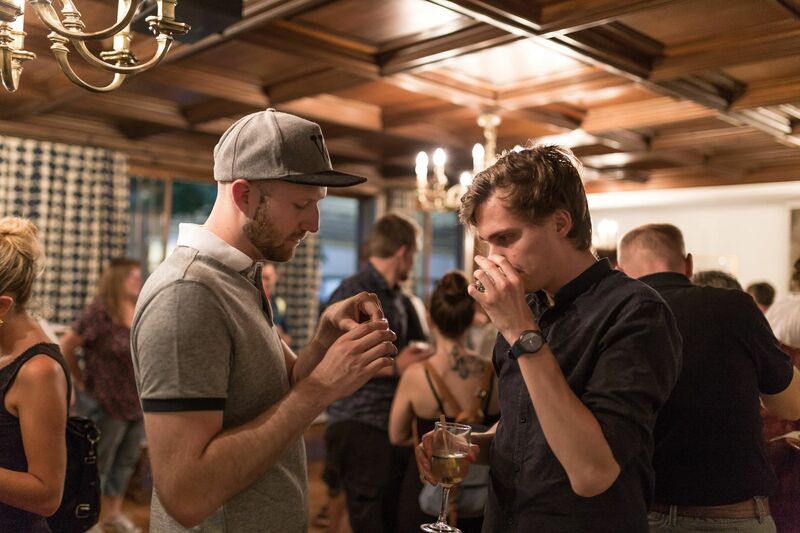 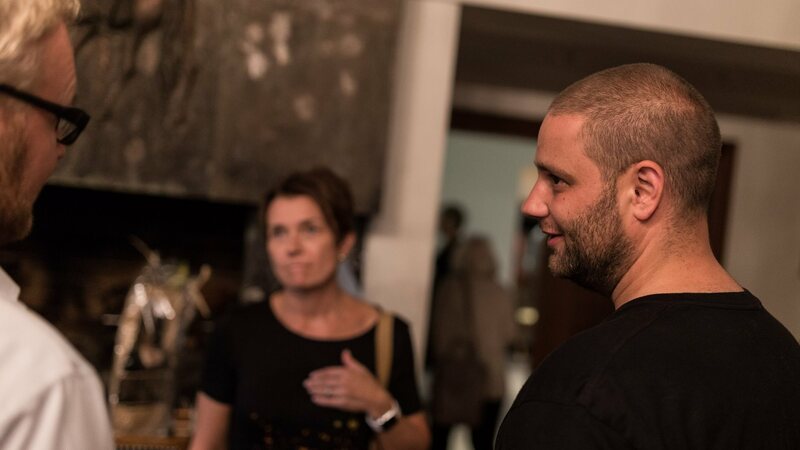 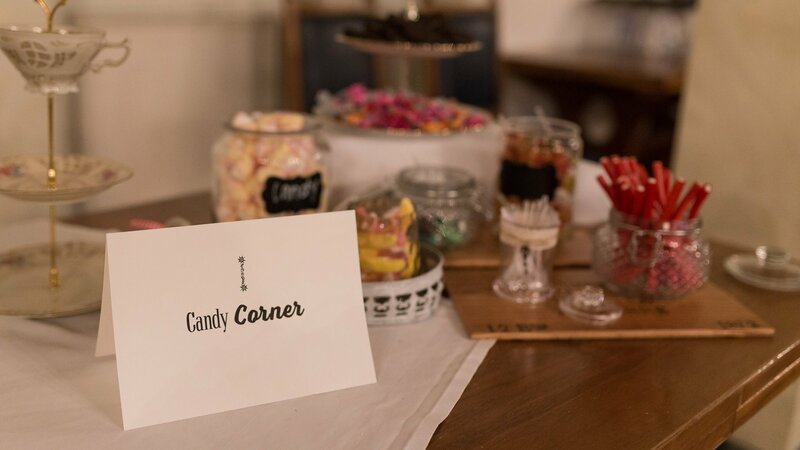 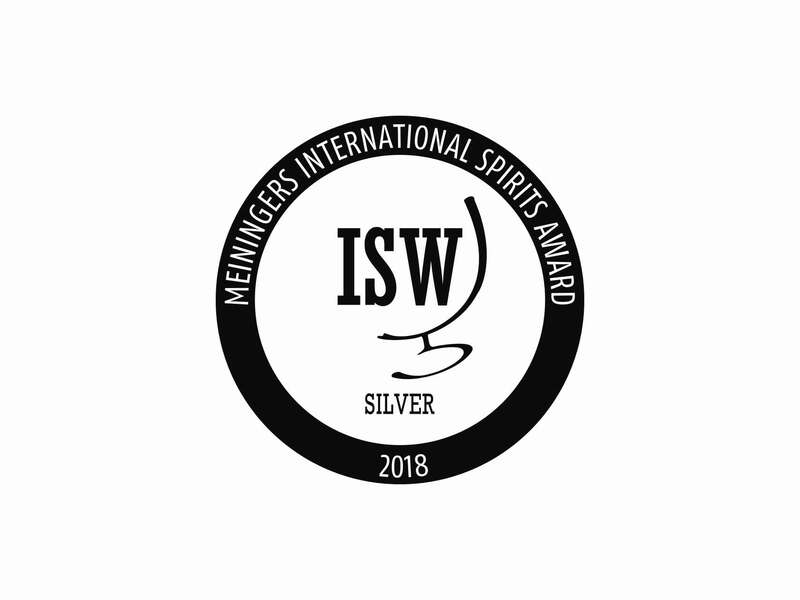 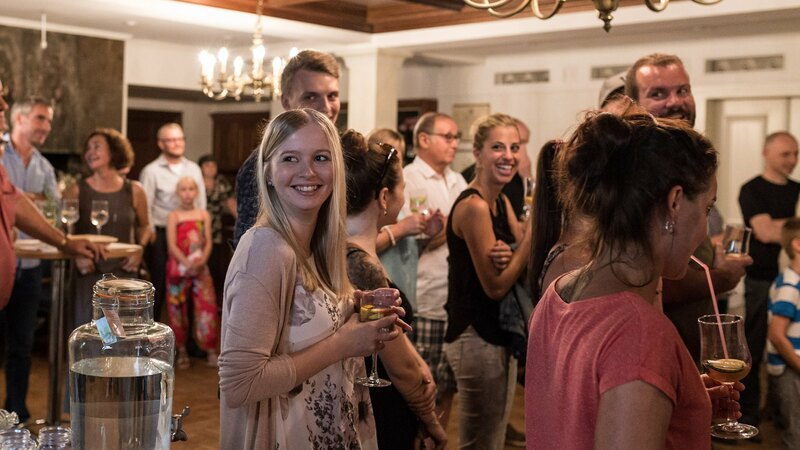 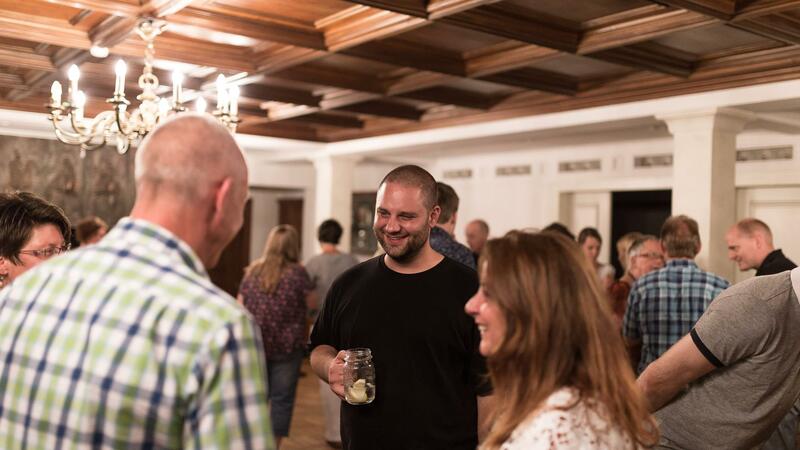 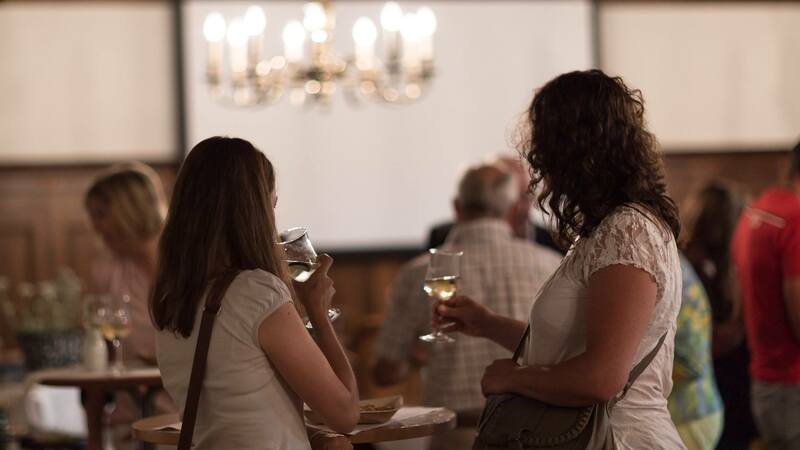 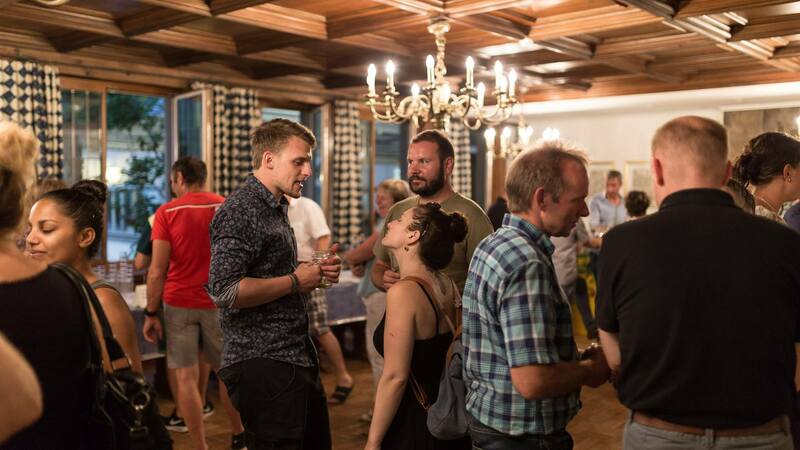 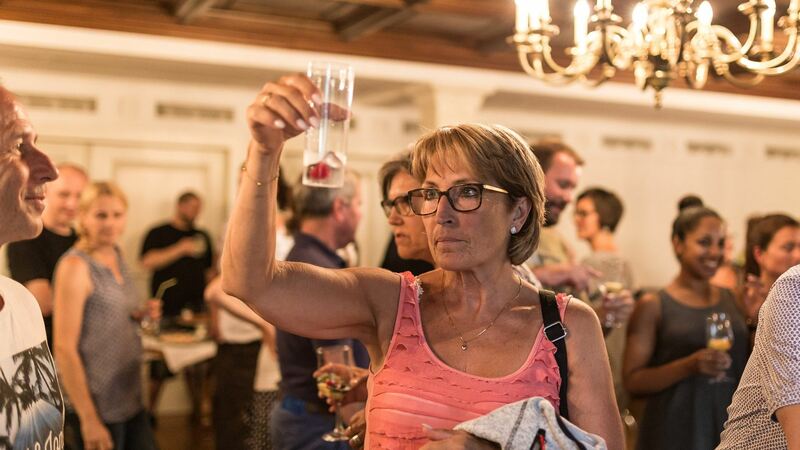 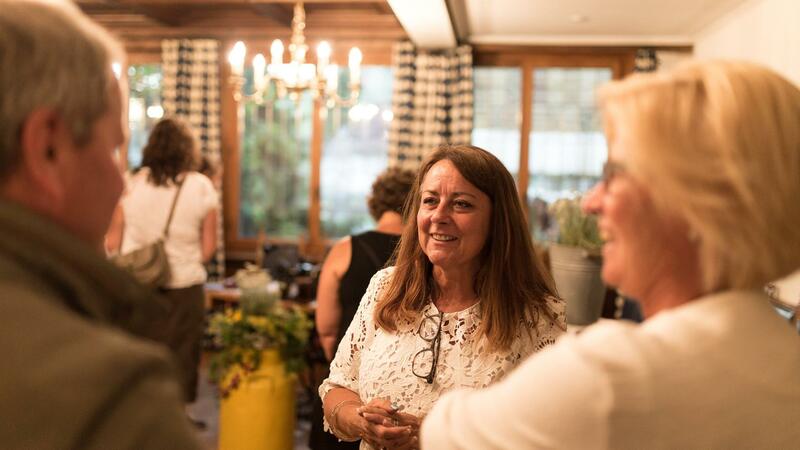 On July 1st, members of the press, family, friends and neighbors were invited to celebrate the first public presentation of Edelwhite Gin in Landgasthof Drei Könige, in Entlebuch. 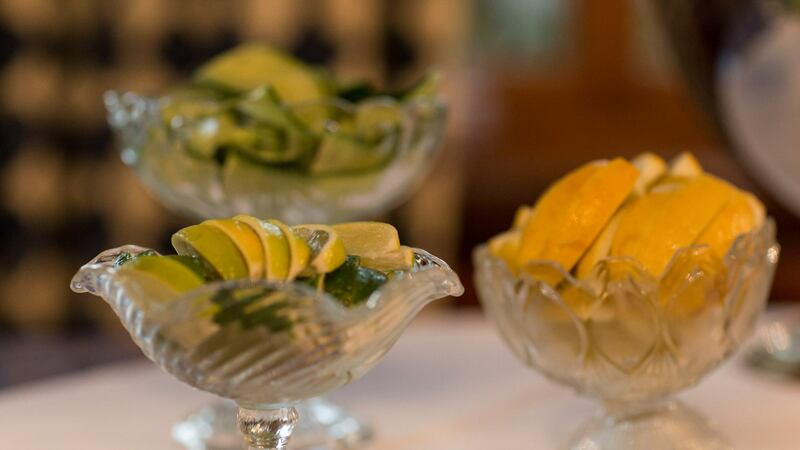 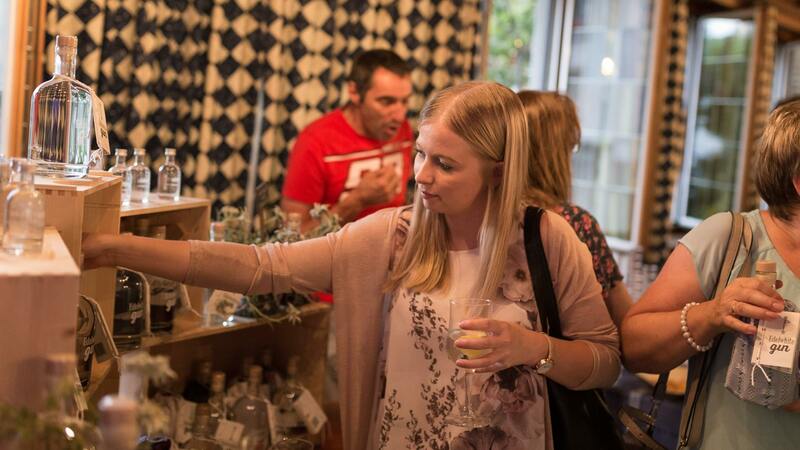 The guests were greeted with a gin cocktail, and then viewed photos, books and fresh botanicals all used in the preparation and distillation of Edelwhite Gin. 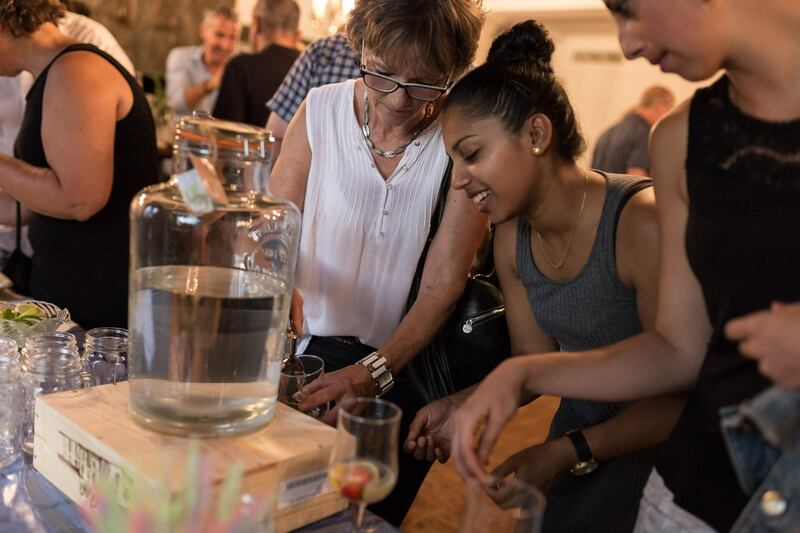 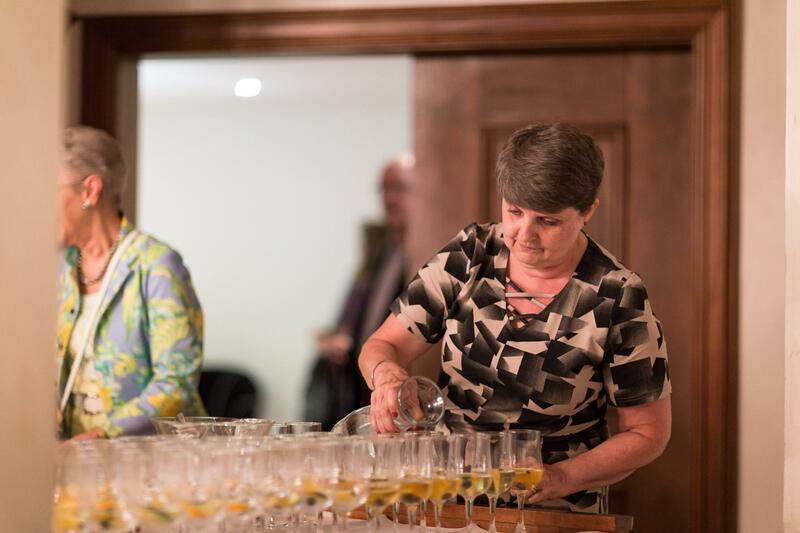 Barb’s thesis was named from Botanicals to the Bottle, and Sandra introduced the guests to the world of botanical in a lively narrative. 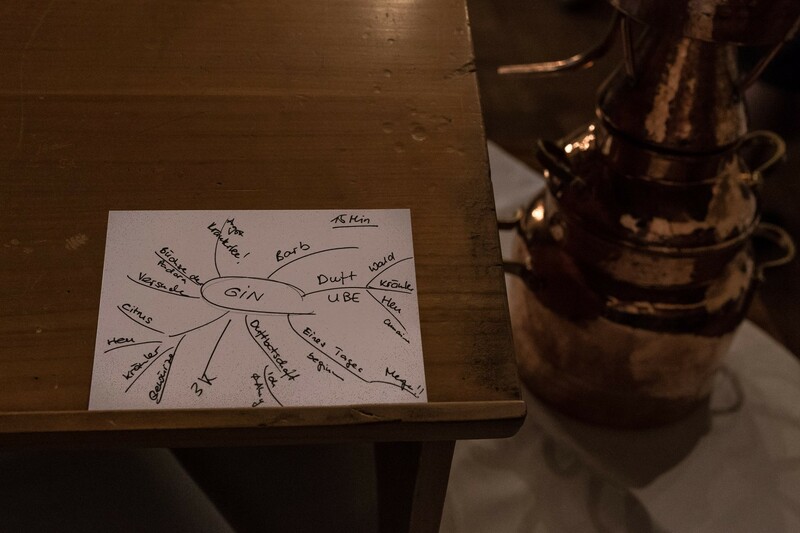 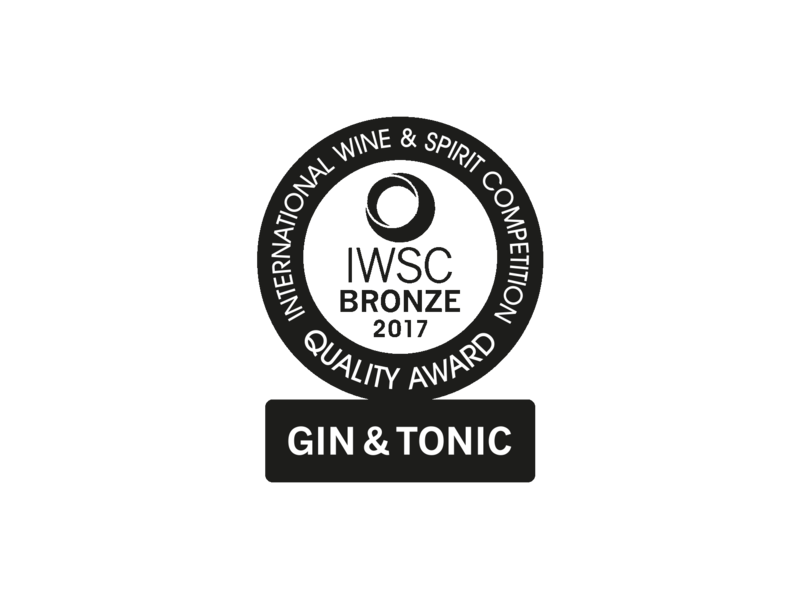 She made clear how important it was that in the final recipe that the majority of the ingredients (botanicals) were of local origin. 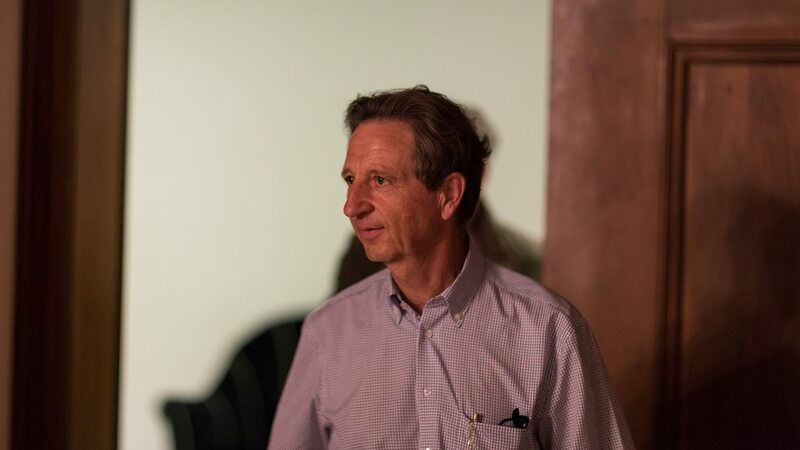 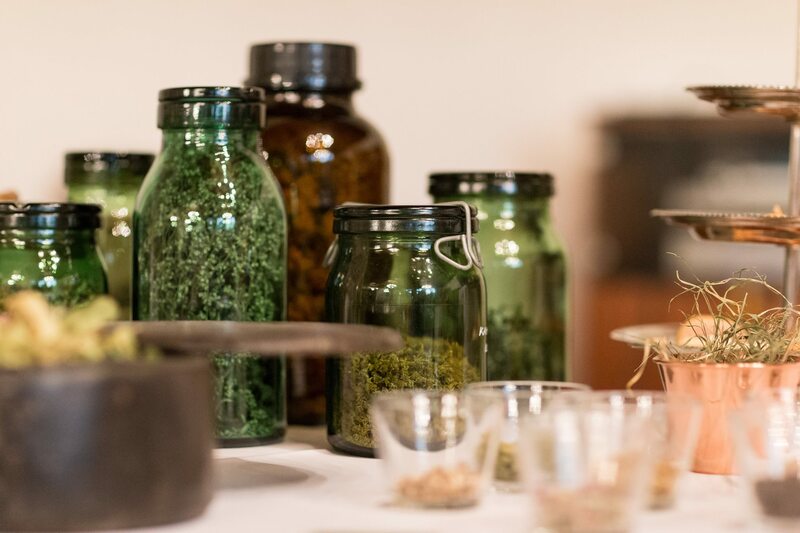 Nearly all 14 of the 27 botanicals were foraged by family and friends in local meadows, fields and mountainsides. 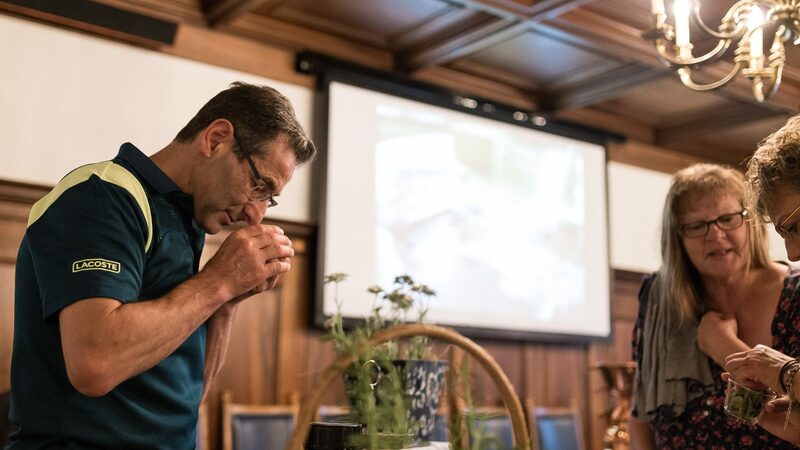 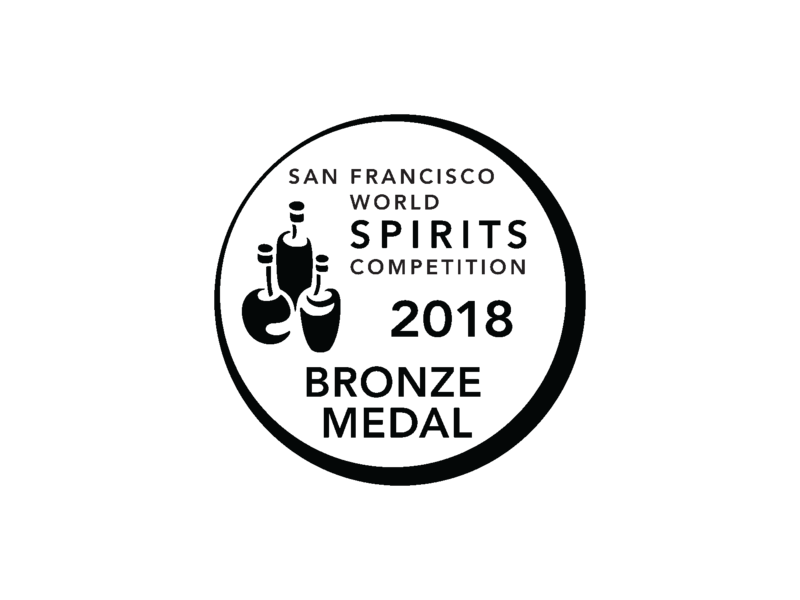 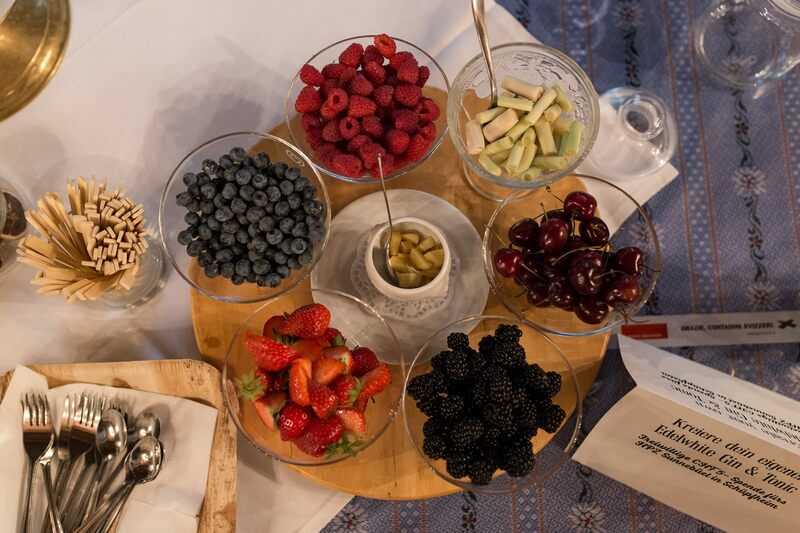 The chosen botanicals were there for a reason, both for taste, aroma and for their fragrance message as well. 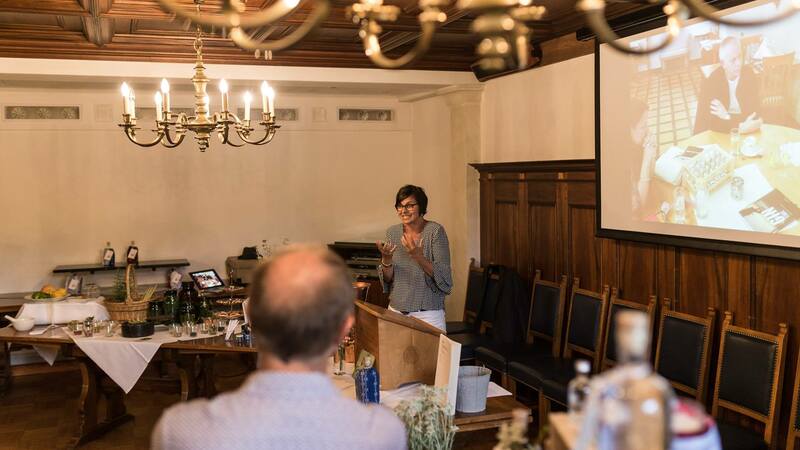 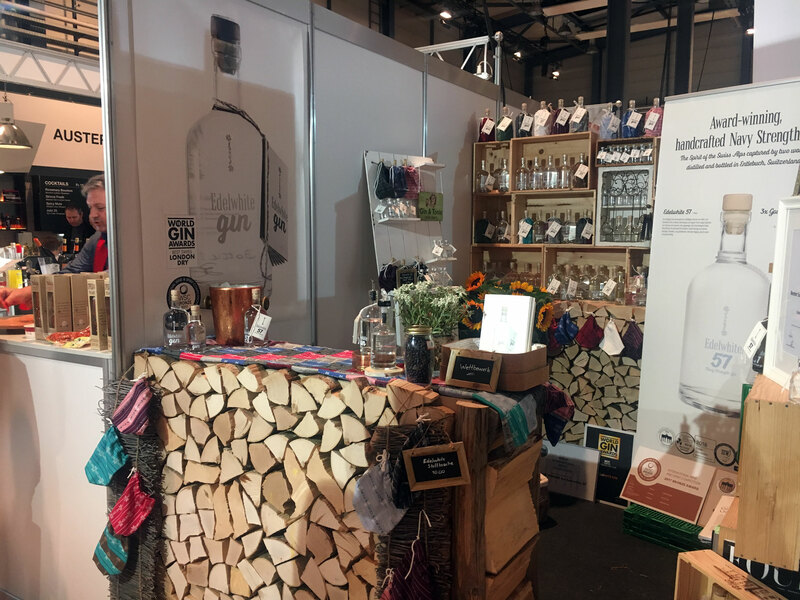 Sandra took the floor with an inspiring story about her role in Edelwhite Gin. 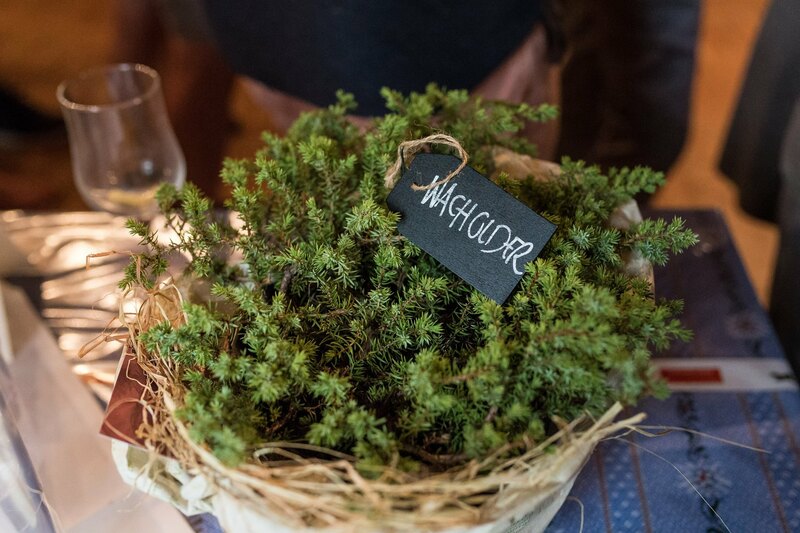 She captured the listeners interest when she named Juniper the King in the recipe, and the other botanicals the ladies-in-waiting, whose job was to serve the King. 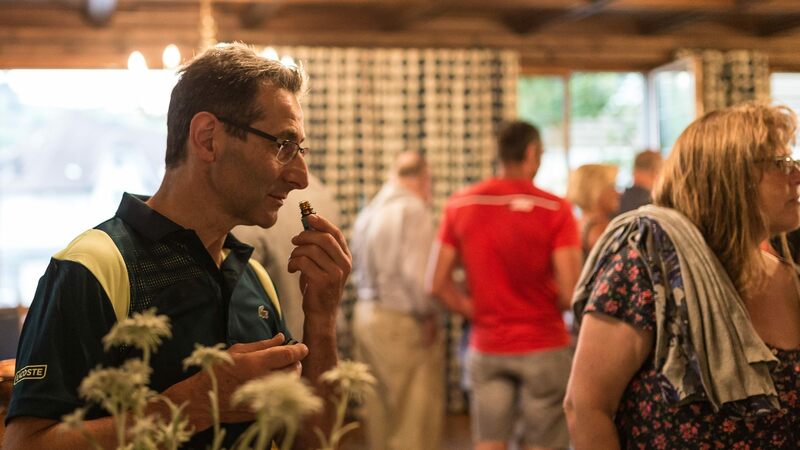 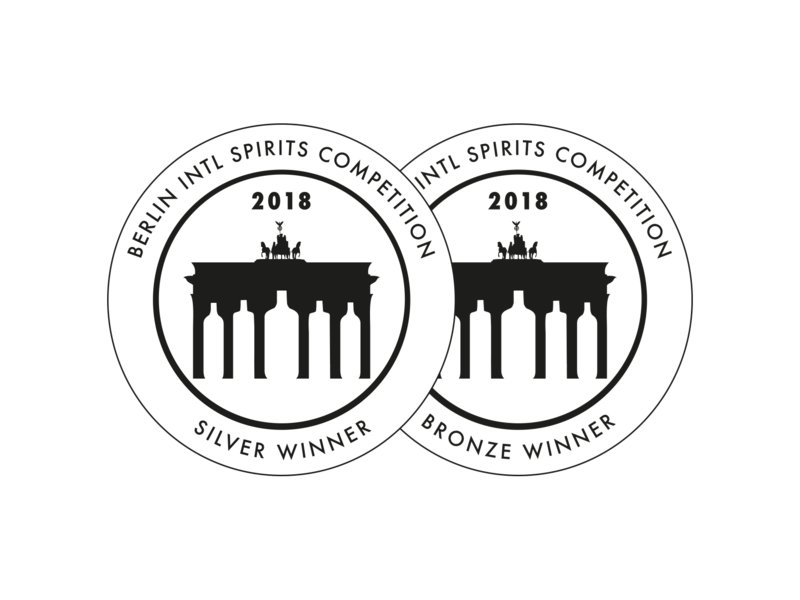 Sandra made it clear that the botanicals found in Edelwhite are there for a reason, be it for flavour, mouthfeel, medicinal or to round off complexity.